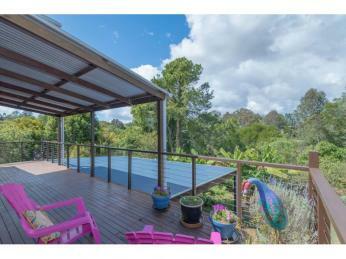 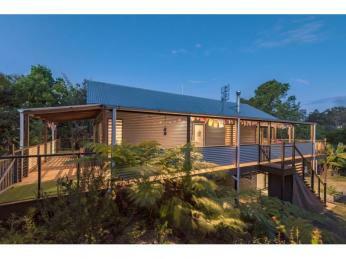 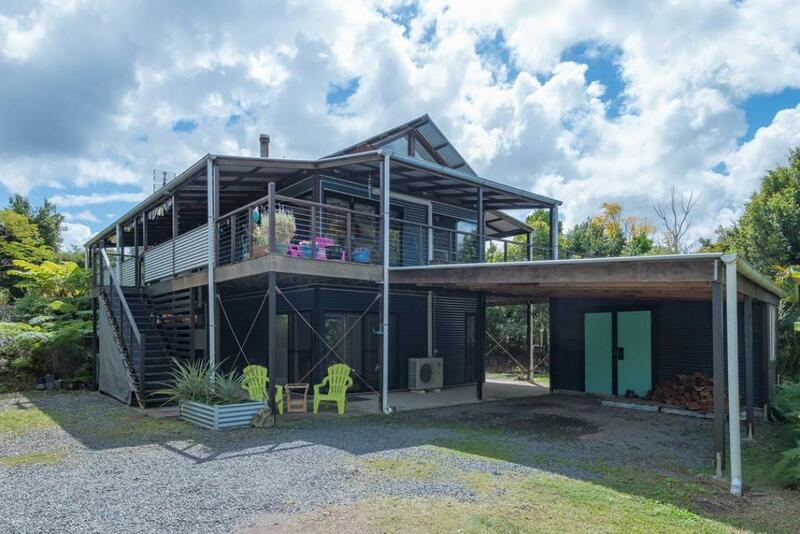 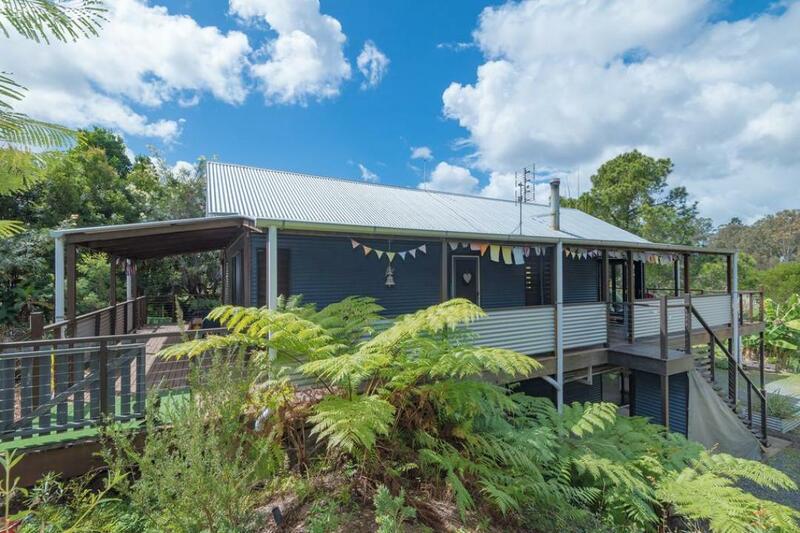 An appealing property on 1646m2 with views to Mt Cooran, this hidden gem of a home offers income earning potential downstairs and private living up. 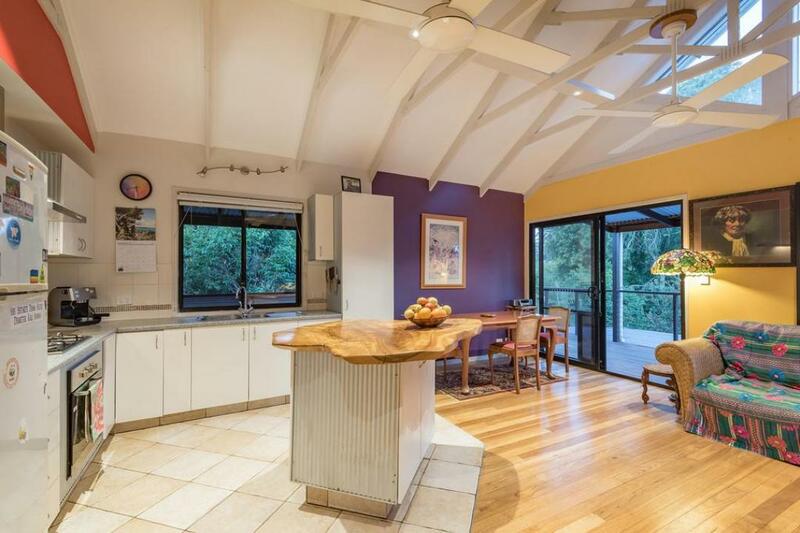 Entry level to this lovely home sees a spacious open plan kitchen, living, dining area that features soaring exposed timber ceilings. 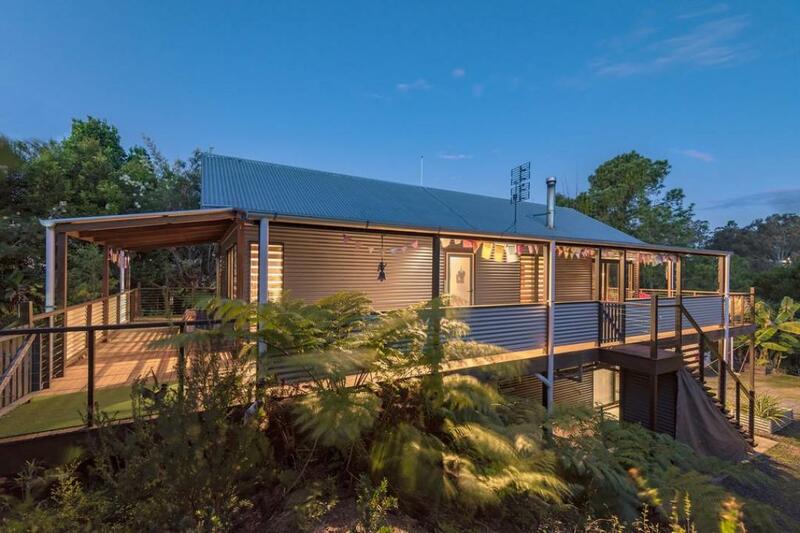 Bi-fold doors connect the living to two of the timber verandahs and together with the feature glass window, offer abundant natural light and picturesque outlook. 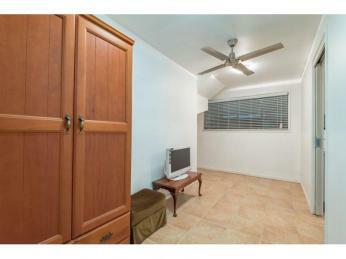 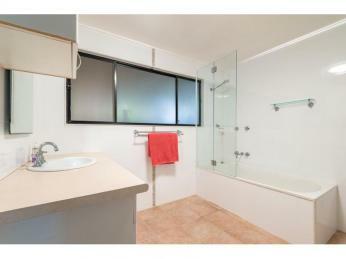 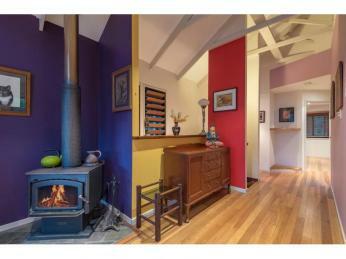 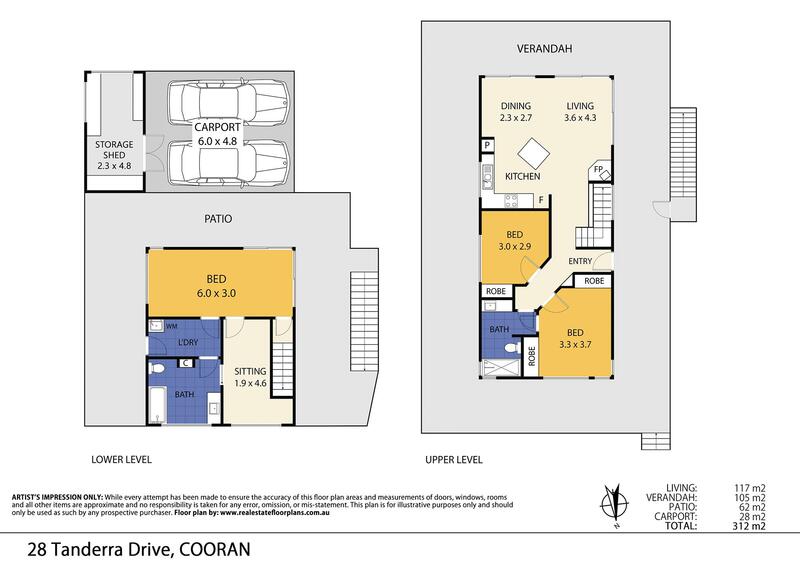 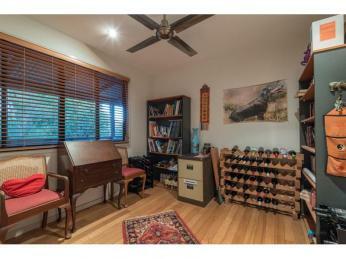 Also, on this level are two bedrooms with generous built-ins and a modern bathroom. 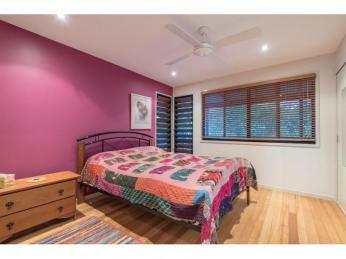 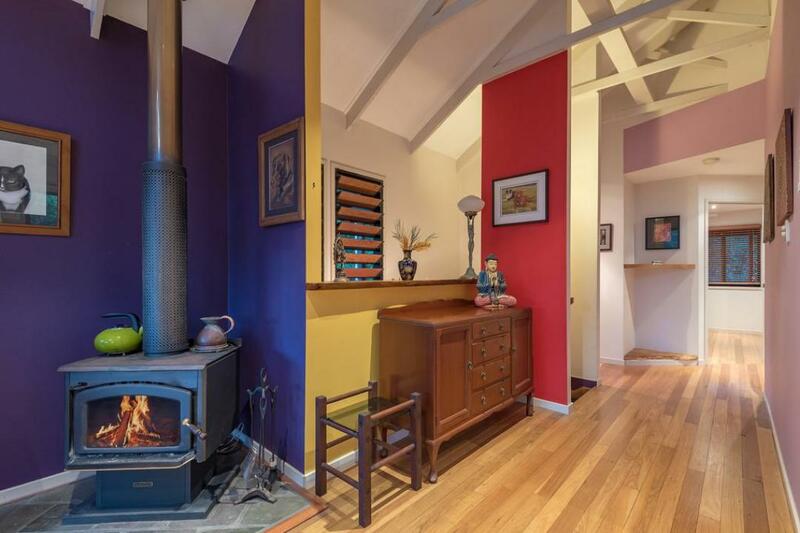 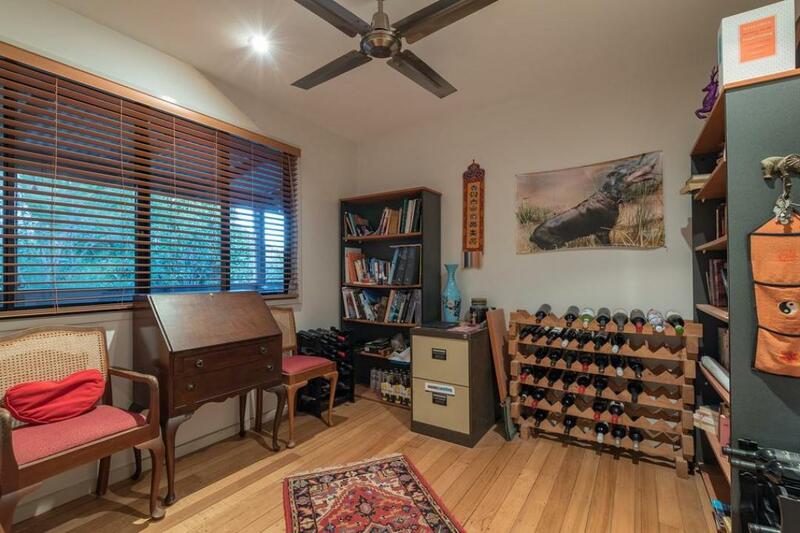 Gorgeous hardwood timber floors throughout make this a funky and welcoming living space. 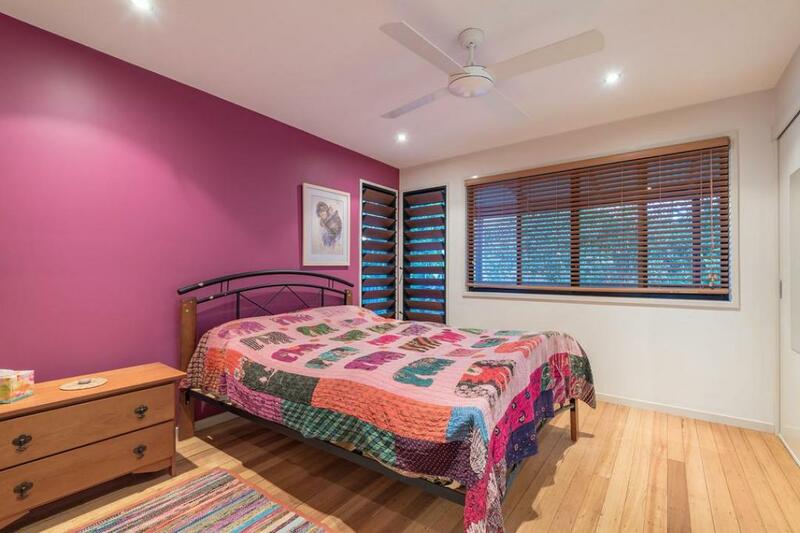 Other features include ceiling fans, reverse cycle air-conditioning, which combined with cedar louvres and blinds create lovely summer cooling, whilst the cosy wood fire warms those cooler winter nights. 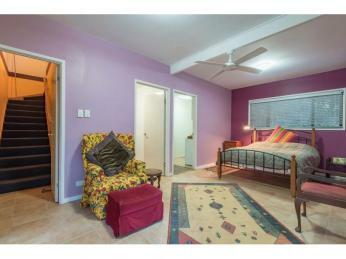 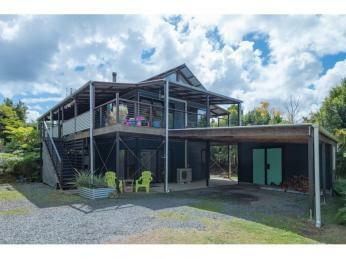 Downstairs has its own entrance as well as access via internal timber stairs. 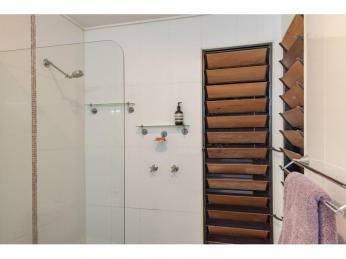 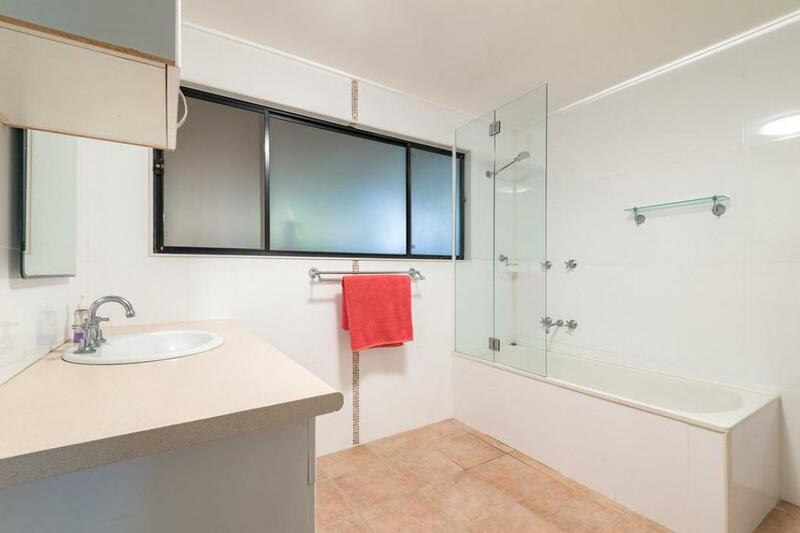 Here there are two rooms, a kitchenette space and another large bathroom. 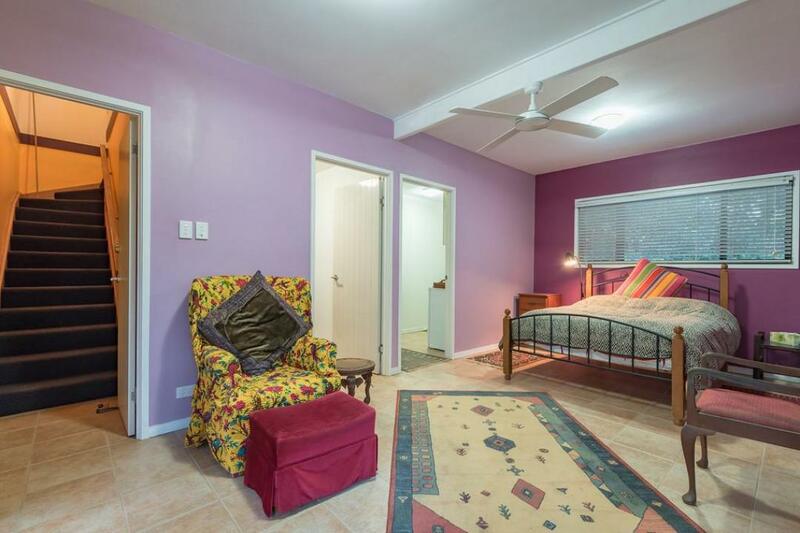 Depending on your needs, this space could be independent living or an additional bedroom and another lounge area. 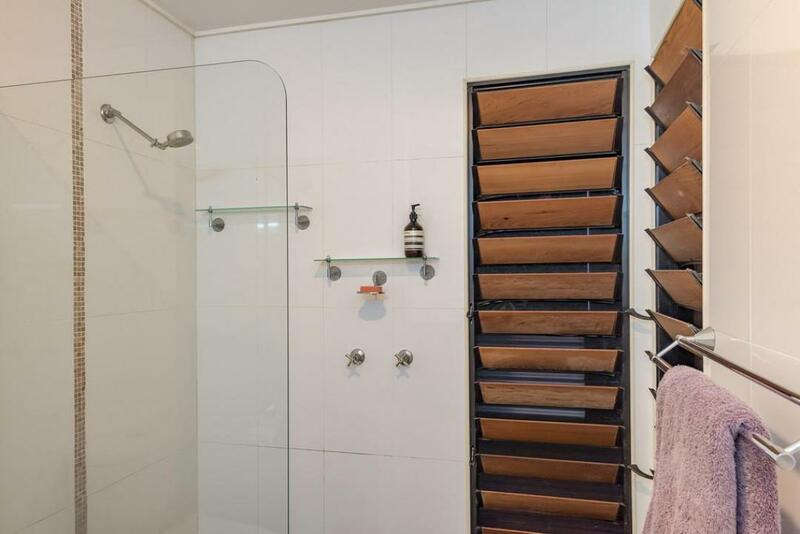 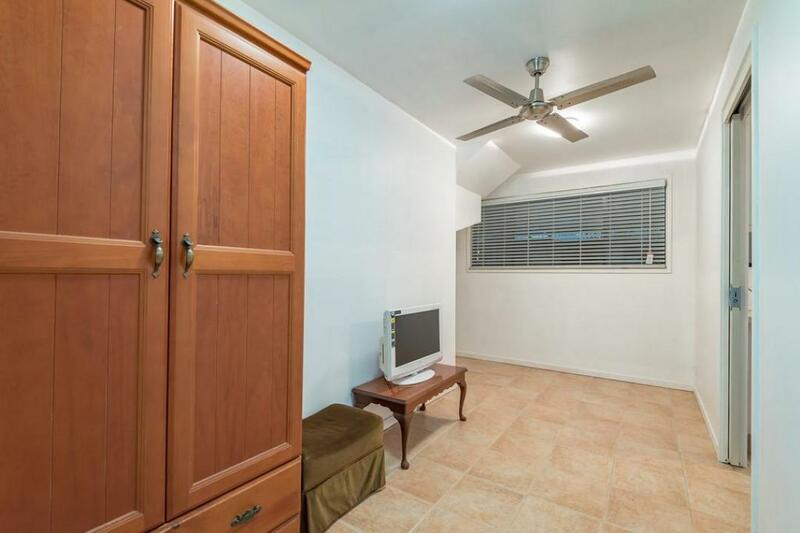 Lots of glass, modern blinds, clever storage, ceiling fans and a tiled floor makes this a very attractive space for a short or long-term rental too. 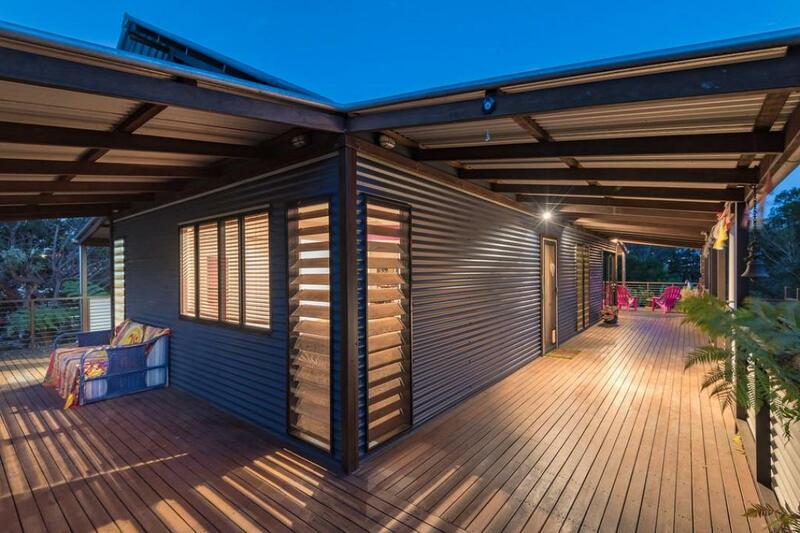 The double carport connects to a fully enclosed shed for storage with plenty of room for a caravan or boat. 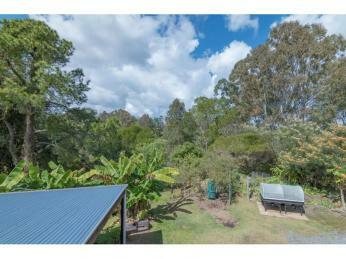 This well-maintained home is also fully screened, has solar power and solar hot water whilst the property boundary is fully fenced. 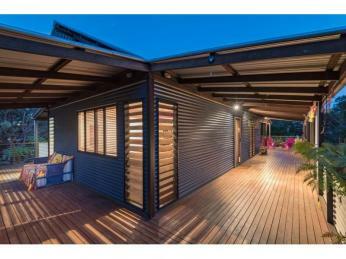 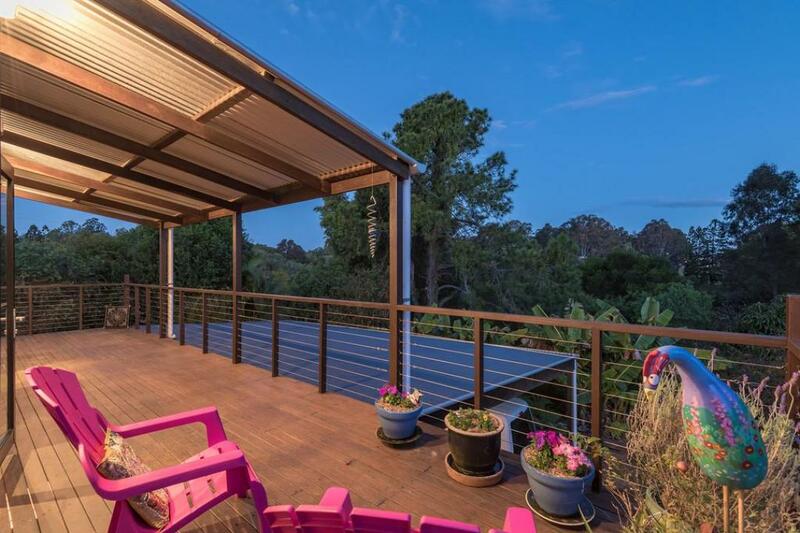 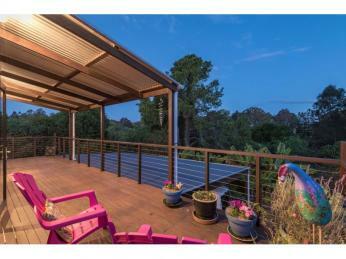 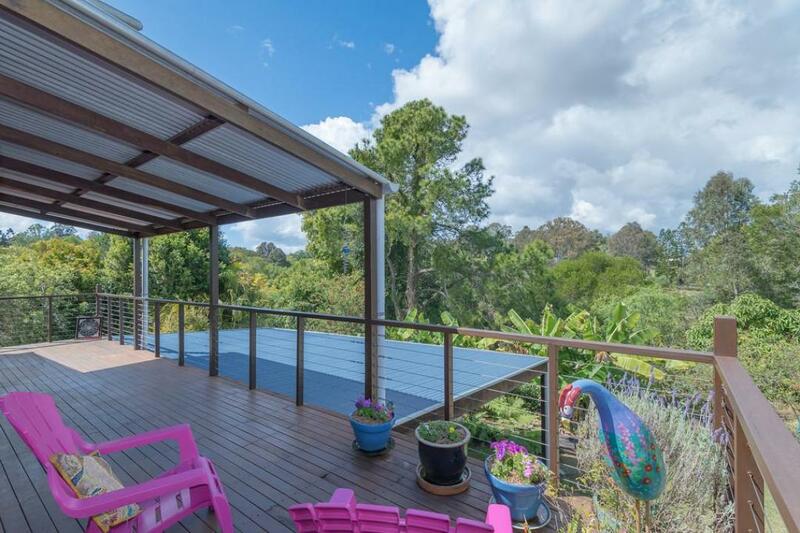 Enjoy the gentle summer breezes from the lovely wrap around verandahs or catch the winter sunshine depending on the season. 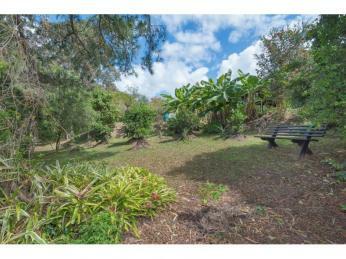 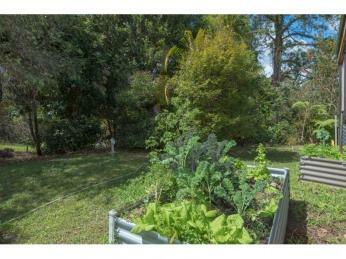 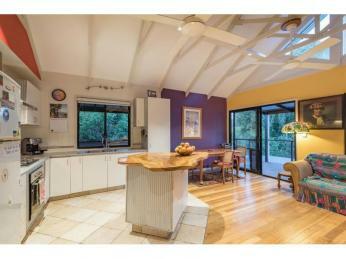 Both offer green views over the gardens with established native and food trees, simply a bird lovers paradise. 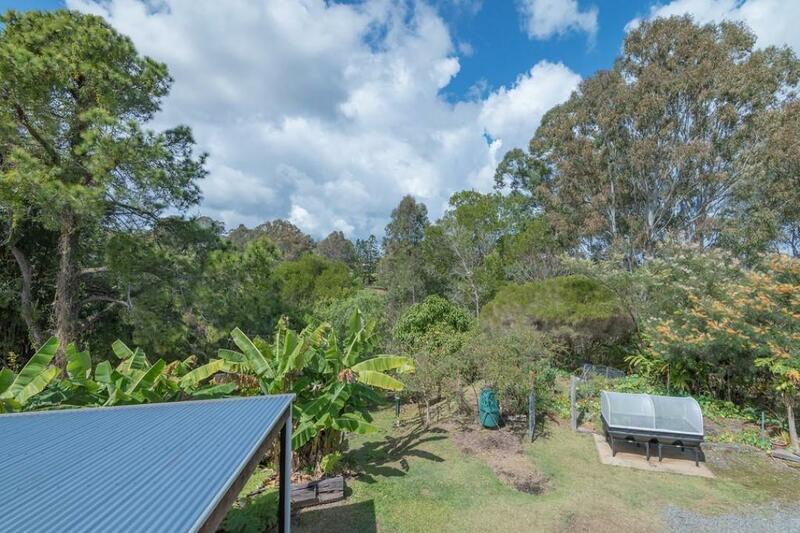 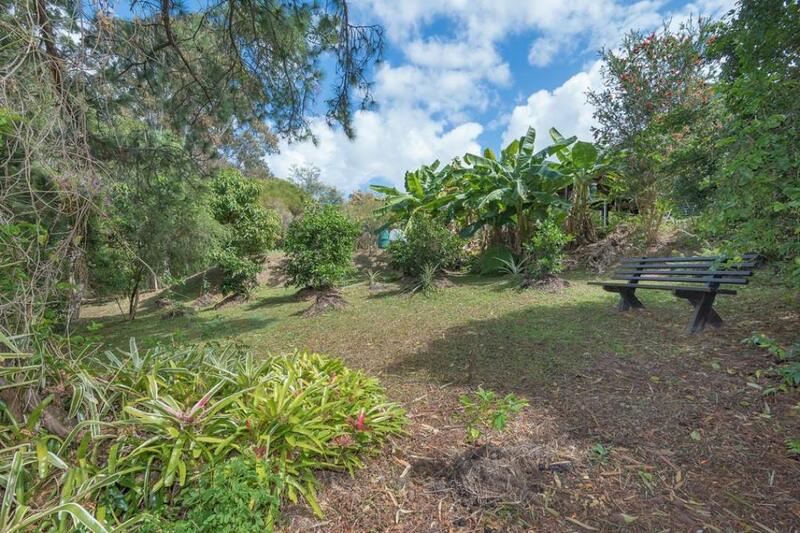 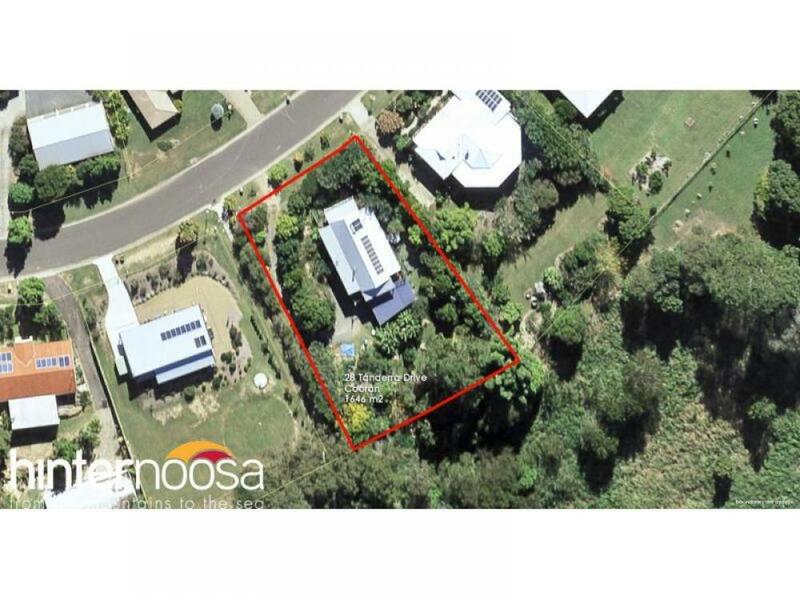 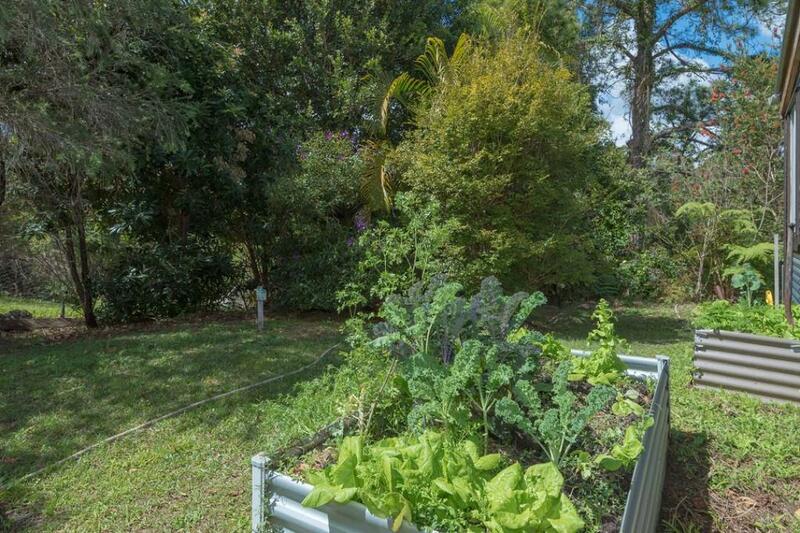 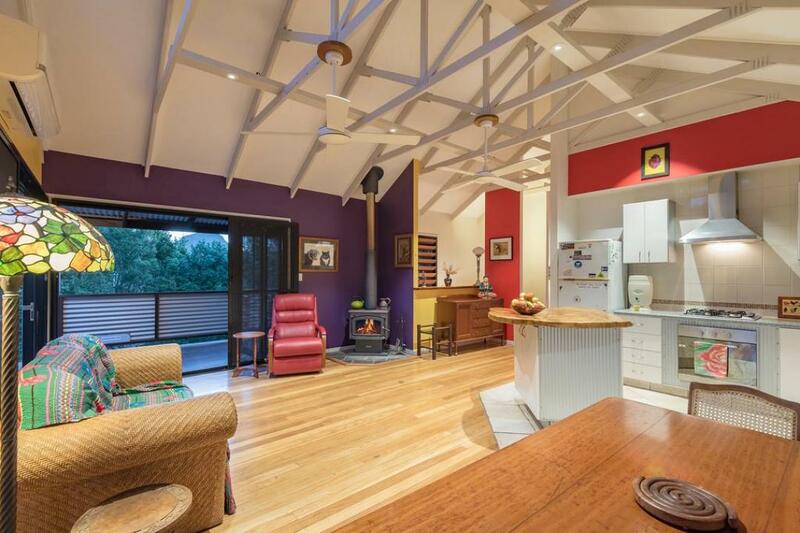 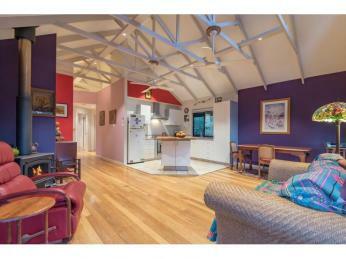 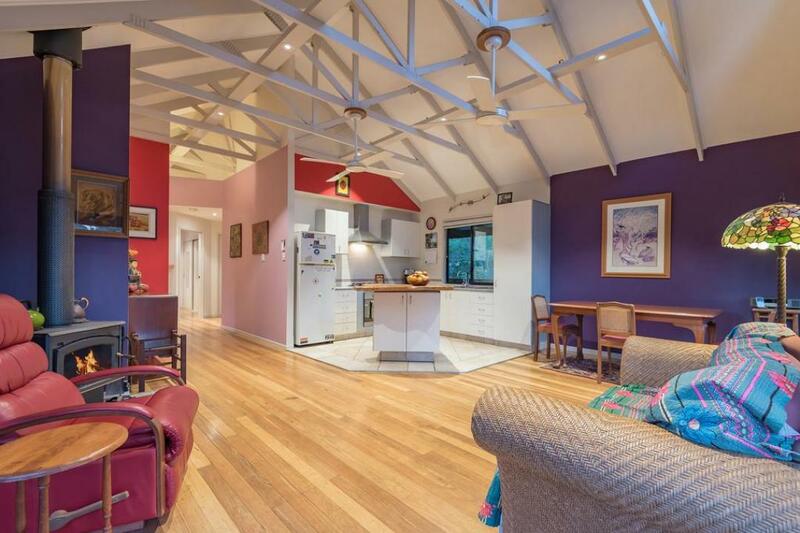 This peaceful hinterland position is within easy walking distance of the local school, shops, PO, cafes, restaurant and popular boutique brewery. 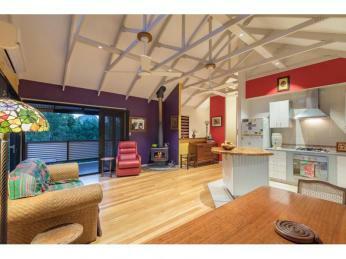 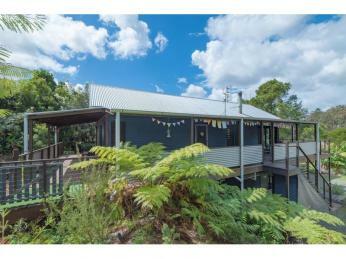 Yet only a 30 minute drive to the Noosa beach and restaurants.